Barcelona announce the signing of Sevilla defender Celemen Lenglet on Thursday. The 23-year old defender joined the Catalan club after they paid his buy-out club of 35.9m Euros, he signed a five-year deal which will keep him at Nou Camp until 30 June 2023. Barcelona has included a buy out clause of 300m Euros in his contract. 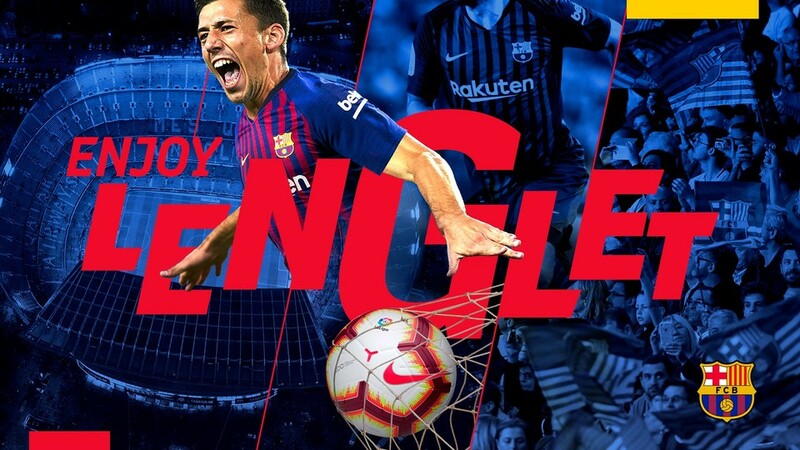 Born on June 17, 1995 in Beauvais, France, Clément Lenglet is one of the most promising defenders on the planet. With ten appearances for the French national team and a height of 186 cm (6 ft 1 in), Lenglet arrives at Barça after success in Seville, where led the defence with elegance and determination. Lenglet, who is left-footed, stands out for his good touch and his combination of strength, intelligence, and, above all, ball skills. This last quality will surely help him on a team like Barça, on which play is defined from the very first touch of the goalkeeper. Very intelligent tactically, Lenglet is also a defender who creates scoring chances on set pieces, as he has shown in his season and a half in La Liga with Sevilla.